Euphorbia pilulifera guaranitica Chodat & Hassl. Euphorbia pilulifera hirta (L.) Thell. 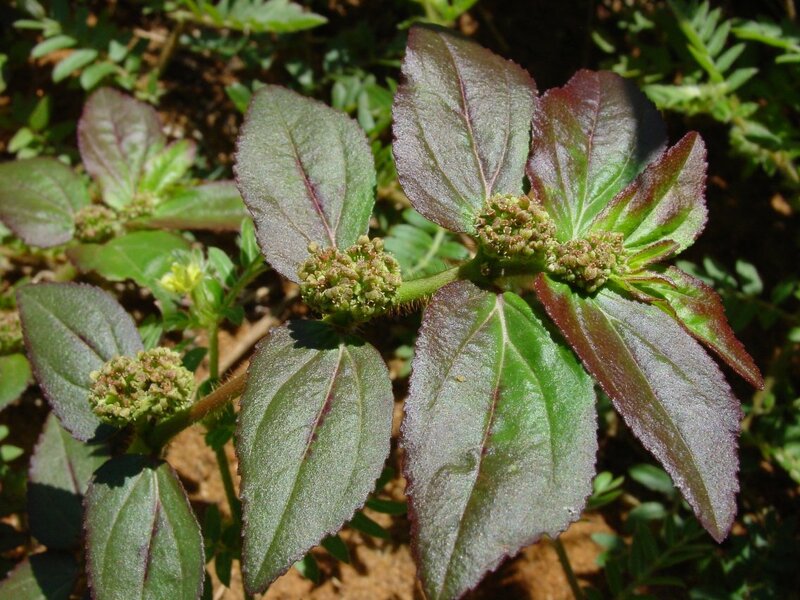 Euphorbia pilulifera obliterata (Jacq.) Hitchc. The New Plantsman. Volume 1, 1994. A quarterly magazine, it has articles on Himalayacalamus hookerianus, hardy Euphorbias and an excellent article on Hippophae spp. A pantropical plant, probably originating in tropical America. The stems contain the hydrocarbon hentriacontane and myricyl alcohol. The latex contains inositol, taraxerol, friedelin, β-sitosterol, ellagic acid, kaempferol, quercitol and quercitrin. Seed - sow mid to late spring in situ. Germination usually takes place within 2 - 3 weeks at 20°c. It might be best to sow the seed in a cool greenhouse in early March. When they are large enough to handle, prick the seedlings out into individual pots and plant out the seedlings in late May. This will give the plants longer to grow and mature. When I was a child we use to chew the fruit of this plant together with palm kennel and it had a nice taste.